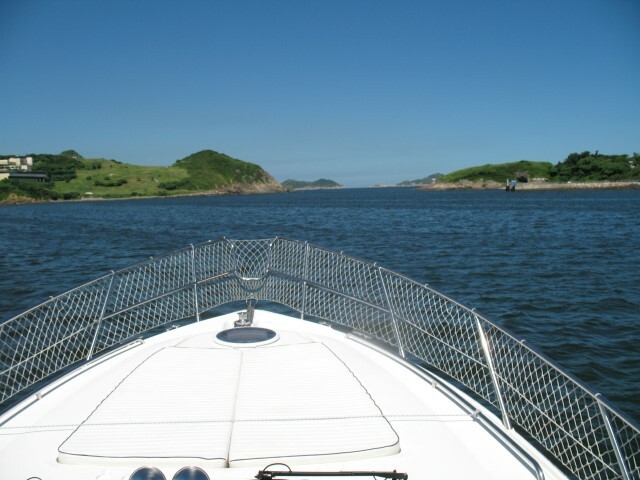 In Hong Kong it is mandatory to have a 3rd party boat insurance coverage for your boat. The yearly 3rd Party insurance premium for a small speed boat to a medium sized 50 footer boat worth around HKD 4 million, can cost from HKD 1000 t0 HKD 2,500 approximately. This amount can change and its best to contact an experienced insurance broker to get the right estimate. Without a 3rd Party marine insurance, you will not be able to change the ownership of your boat or renew the yearly license. If you are caught cruising without the insurance, you may face your license being revoked or penalty that is set by the Hong Kong’s marine department. If you are buying a new boat, do remember to ask your shipping agent to cover the cargo insurance and get the best one. In this aspect do not try to save small money. This could land you in huge trouble because honestly accidents do happen during shipping. Few ports in the world know how to load and offload a heavy yet delicate cargo like a motor yacht. More over, the yacht takes a lot of pounding from the sea and weathers rains and storms while its on its way to your port. So, make sure you are covered. If you are buying a new boat or importing a boat, Your insurance coverage should start the moment the boat touches the water in your port. If you are buying a used boat locally, then your insurance coverage should start the moment its under your ownership. A full coverage insurance can be anywhere between 0.5% to 2% value of the boat. It could be more depending on the condition or the usage risk that your boat possesses. Few Tips on buying a full boat insurance. No. 1) Buy your boat insurance from a reputed insurance company. You want to make sure the insurance company does cover pleasure boats. They understand what they are doing. Because when it comes to have a real damage, you don’t want to run around explaining things to each and every staff in the insurance company and their lack of understanding causing delays and troubles on your genuine claim. No. 2) Buy the insurance from a broker who has been in the industry for more than a couple of years, and has been through claims. Try to find out from your friends or other boat owners on how the insurance company treated them when there was ever a claim. People’s experience matter a lot. Do not buy boat insurance from a broker who is new in the industry and just trying to sell insurance to stay in a job. These type of agents they come and go leaving you in confusion when time comes to claim. If there is a broker whose career is finely set up in marine insurance industry. Then he is likely to entertain you and treat you fairly because he has to keep up his reputation and stay in the industry. The long term brokers cannot risk bad publicity. No.3) Understand your terms clearly, ask questions and get your answers. Do not presume everything is covered. See how the clauses are and incase of accidents the insurance companies may point fingers at you or your captain to get away from claim. Or they can accuse the owner of negligence in maintenance or anything like that. So see what you are supposed to do. Do not neglect any safety features and please hired a qualified captain or crew. If you are qualified to sail your boat then understand where are the risks of having your boat run aground. Also always make sure your fire safety equipment is up to date. We also recommend AON insurance in Hong Kong. Mainly because the insurance agent has long history of insuring boats in the area. They also have good reputation when it comes to claims and we have witnessed other numerous insurance companies pointing fingers at the owners when it came for claims. So we hope you found this article helpful and please feel free to contact us for any further info.